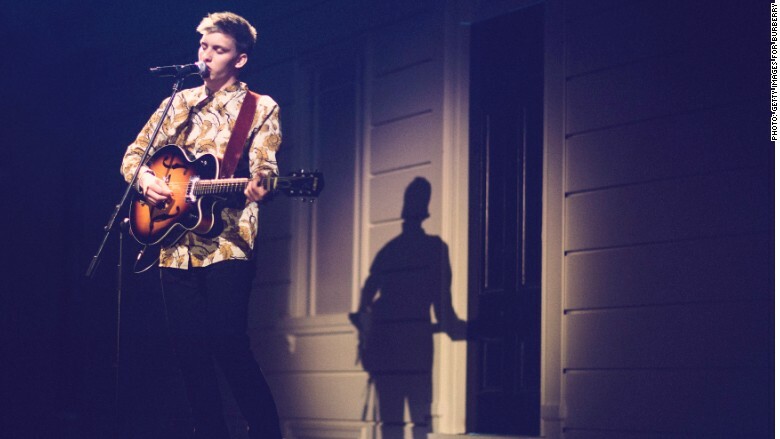 Burberry is already promoting emerging British artists through its Burberry Acoustic platform. Bored of those checked scarfs and "timeless" trench coats? Why not try some Burberry music instead? The British fashion house is the first company to get its own Apple Music channel. It will feature up-and-coming British artists and music videos from Burberry fashion shows. Burberry (BBRYF) is keen to be seen as a lifestyle brand, and has tapped into the music industry before. It launched its own "Burberry Acoustic" platform in 2010, streaming music via its website and its YouTube channel. "I am excited about our partnership with Apple (AAPL) on this amazing platform, which will enable us to take what we do now with Burberry Acoustic and share it with an even bigger audience," said Burberry CEO Christopher Bailey. The channel is the first collaboration between the two companies since Burberry's former CEO Angela Ahrendts joined Apple as the head of retail and online in 2014. Burberry said it will launch the channel next Monday with a series of videos from emerging artists including Lilla Vargen, Georgie and Rhodes. "There are so many extraordinary British artists, and it is a privilege to have the opportunity to work with them and showcase their incredible talent," Bailey said. Apple's new music streaming service launched earlier this summer. The company is hoping Apple Music will compete against services like Spotify, Pandora (P), Google (GOOG) Play, and Amazon (AMZN) Prime Music.